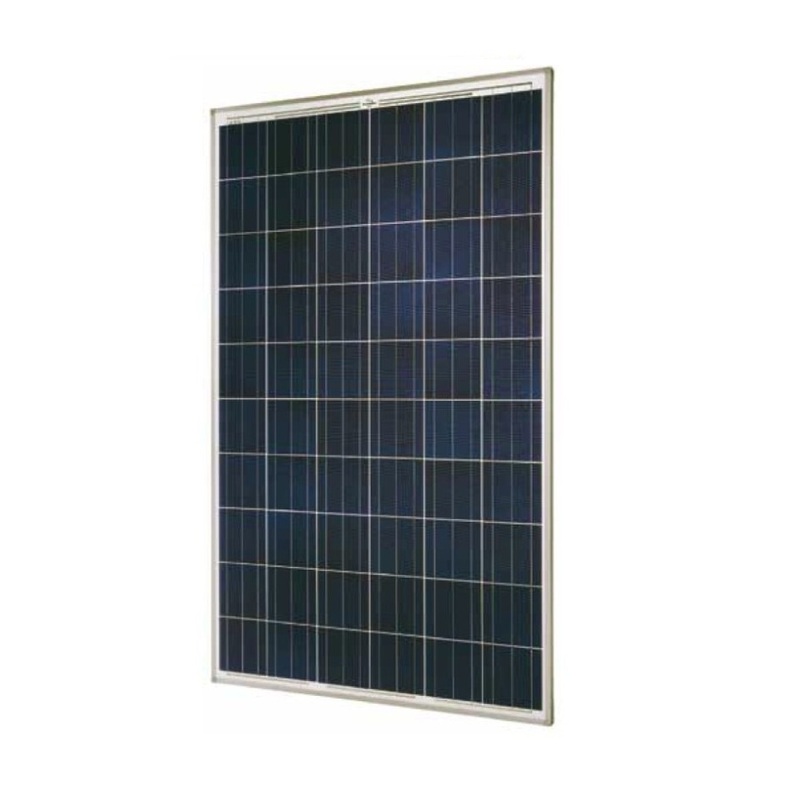 Tycon Power 250W 24V Solar Panel - 66 X 39.4"
250W 24V Solar Panel - 66 x 39.4"
Dimensions: 66 x 39 x 1.4"
The TPSHP series solar panels are high efficiency designs with excellent low light performance. The multicrystalline silicon solar cells are laminated with a TPT (Tedlar/Polyester/Tedlar) and EVA (Ethylene Vinyl Acetate) bi-layer for high reliability and long life. The cell array is sealed in a heavy duty extruded aluminum frame with a high transparency low iron tempered glass cover to protect the solar cells from harsh environments; hail, wind, snow and ice.